The old Woolwich bank next to Barclays on London Road North Cheam is set to become a Coral betting shop in a few weeks time. 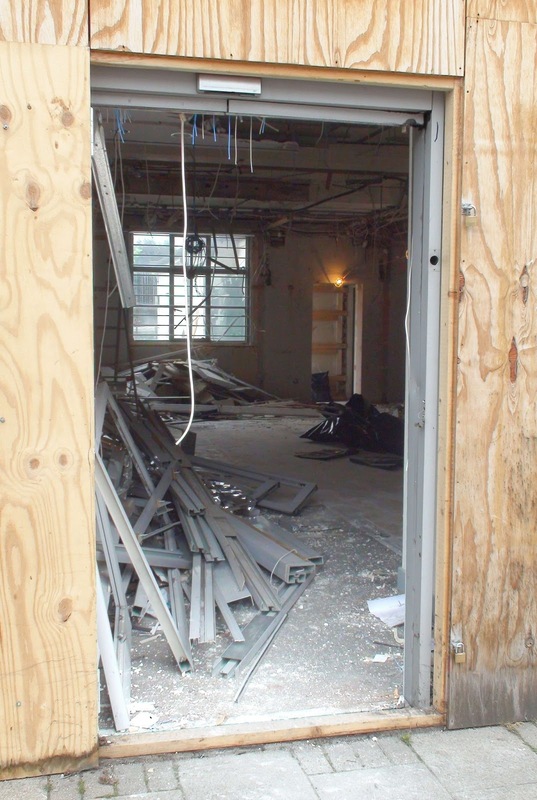 (Sorry I know this is North Cheam but I though it might still be intersting...) Work began on the site a few days ago should be finished in a few weeks. 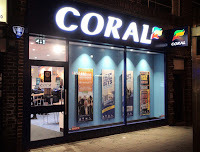 It seems odd that we need a Coral here as we already have one in Central Road and there’s another one further up London Road on Stonecot Hill. 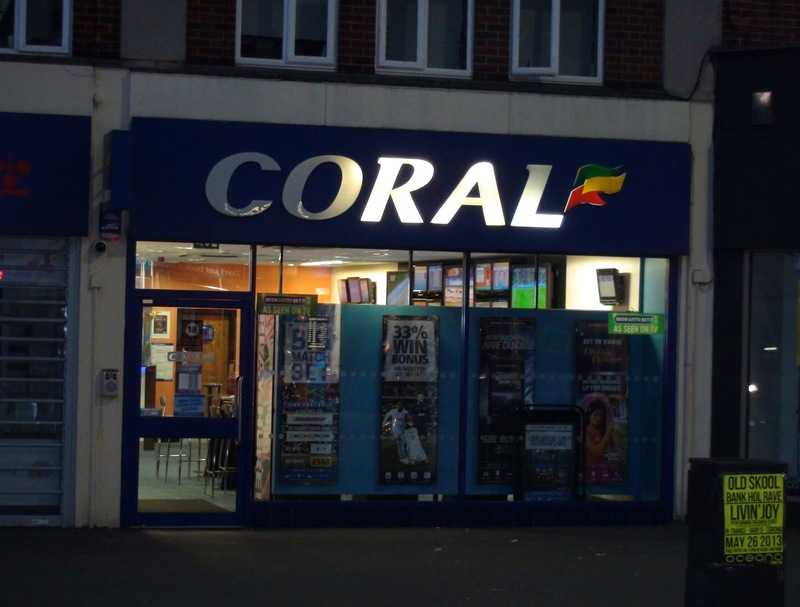 According to one of the gentlemen who was working on the premises, all the other betting shops will now open branches in North Cheam too. He said it always happens like that - he has seen it many times. 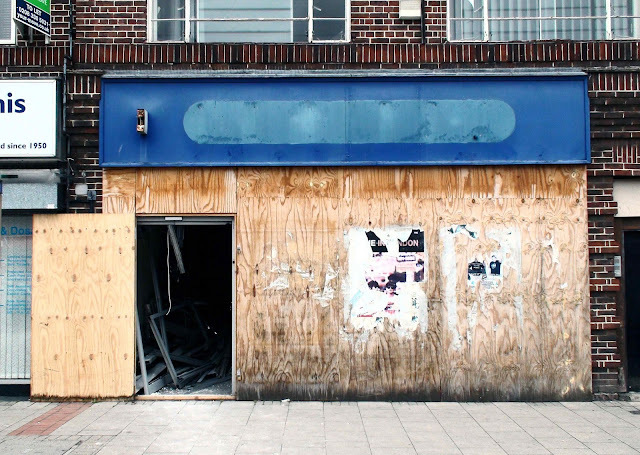 So now we will probably see William Hill, Paddy Power, Stan James, Betfred all pop up around there. What are the odds it won’t enhance North Cheam? Well its open. As of last Friday (26th July). 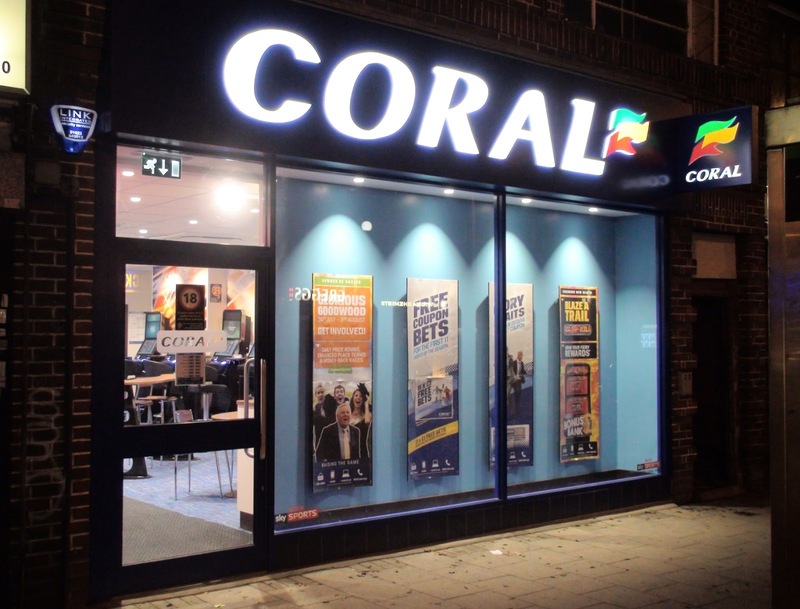 The new Coral shop is up and running with lots of betting and gambling options available (and not a piece of coral in sight). The blog understands they are having a 'Grand Opening' (I assume last Friday was only their modest opening) on Friday the 23st August. Minor celebrity Peter Shilton will apparently be there to stand next to people in photos and do other grand opening type stuff. I guess he's probably a big celebrity to football fans, being as he is the record holder for the most number of caps for playing in the England men's team (125). Doesn't do it for me though I'm afraid. So there it is. Who's betting on when the next one will open in the area?